Gary Jobson is certainly America’s most famous sailor. He was inducted into the first class of the Sailing Hall of Fame and everything flows from there: college sailor of the year twice, tactician for Ted Turner’s winning America’s Cup campaign, winner of oodles of races, offshore and on, all of which vaulted him to his role as author, commentator, TV producer, speaker (over 2,600 lectures he says), President of US Sailing, and now VP of World Sailing, the international governing body of the sport (formerly called ISAF). Gary will be our January monthly meeting speaker Tuesday, January 9, beginning at 7pm (but arrive early for dinner). Monthly meetings are held at the Caddy Shack @ Rolling Hills Golf Course, 1415 North Mill Avenue, Tempe, AZ 85281-1205 (map) and both members and non-members are welcome to attend. This will be Gary’s third visit to AYC and if you were at either of the first two, you know what an entertaining speaker he is—and how popular he is. Because of the expected large turnout, we’ve arranged with the Caddy Shack to reduce the menu options that night to three (hamburger & fries, chicken fillet sandwich & fries, and Greek salad) in order to make sure we can serve everyone who would like to eat. Like more details on Gary’s amazing list of accomplishments? Click over to his website for a quick briefing. Got 15 minutes to spare? 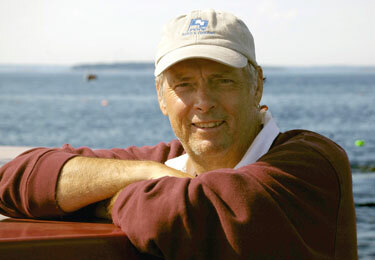 Watch Gary’s ESPN story on Ted Turner’s 1979 Fastnet victory.